The 2014 State DOT Social Media Survey shows states overwhelmingly prefer Facebook and Twitter over other social media tools. 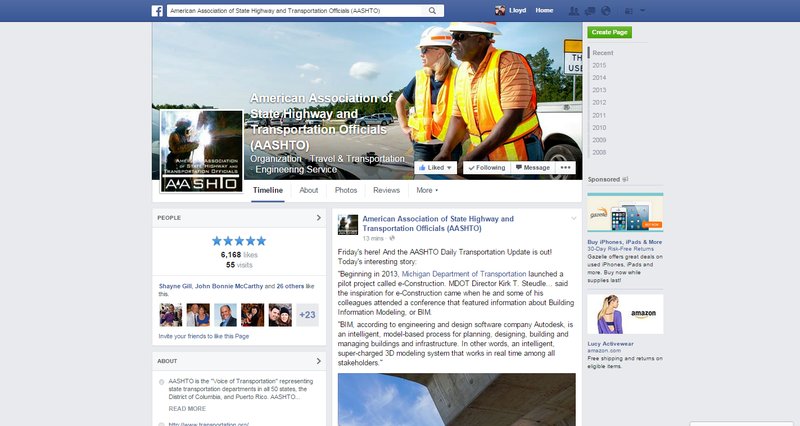 The fifth annual state department of transportation social media survey results were released last month at the annual meeting of TransComm, the AASHTO Subcommittee on Transportation Communications. The survey, started in 2009, confirms what we all probably already suspect. 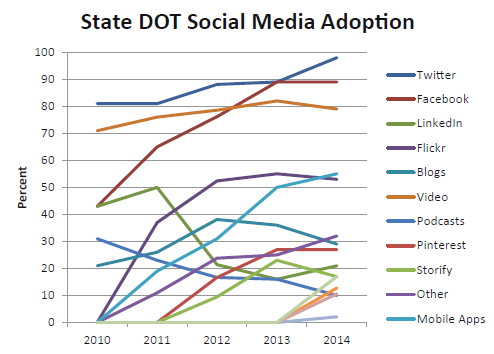 State DOTs are heavily invested in social media outreach both in the operations and public involvement areas. The 2014 survey confirms that not only are the state DOTs utilizing social media tools, many are doing so at a very sophisticated level. There is little doubt that the proliferation and variety of mobile devices is influencing the ways in which people seek and consume information. 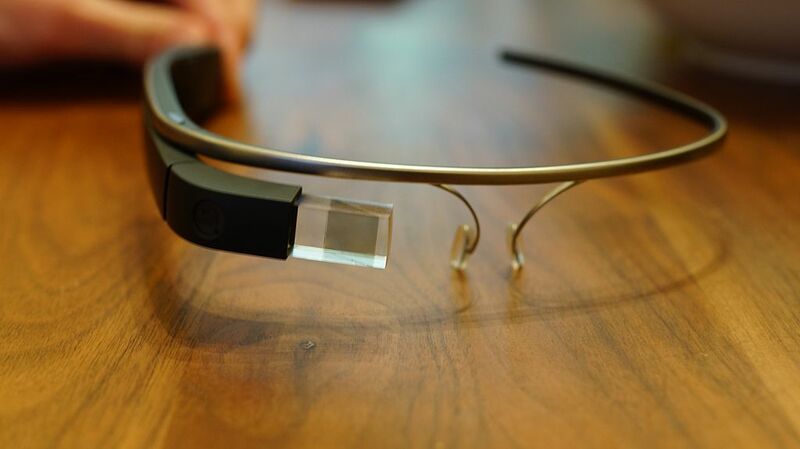 The trends and behaviors are becoming so obvious that major media organizations like the New York Times are customizing their content based on the type of device that is used to access the information. We’re not talking about simply making content accessible across platforms, but rather altering and customizing the content itself to fit the prevalent media consumption behaviors of each type of mobile device. For example, the Ottawa Citizen this week announced that it would publish unique content on four different media platforms – news print, online, tablet and smartphone. Social media as an accepted stand-alone public relations practice remains just a few years old, but for some reason I still find it easy to think that there is little new under the sun.